Though shopping malls are mushrooming across the length and breadth of India, only a handful of them are running successfully, while others are losing their glory and are on the verge of winding up. The alarming rate at which shopping malls in India are closing down predicts a gloomy picture for some malls that are in crisis and struggling hard to survive. Industry experts assert that 60 percent of shopping malls in the major cities across the country are performing disappointingly and facing a bleak future owing to their failure to keep up with the competition from new shopping malls offering sophisticated retail experience to their customers. According to Jones Lang Lasalle India Report released in 2015, Delhi and NCR has the largest number of operational malls. 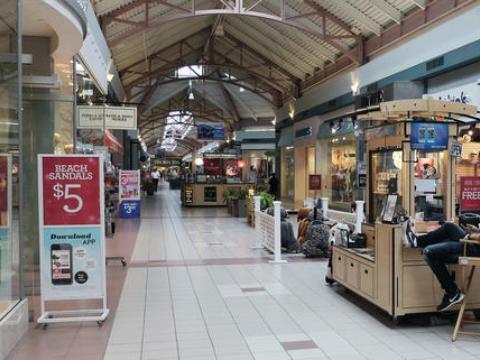 While the most thriving malls are enjoying a low rental vacancy rate of almost 10 percent, the underperforming malls have a vacancy rate of 30 percent or more. Industry experts opine that since some malls are performing below average, they may eventually fade away if the mall developers do not get to the bottom of the thorny issue. Experts further are of the opinion that in order to survive, shopping malls in India that are facing losses should focus more on innovation to attract more footfalls and drive sales. Owing to the factors mentioned above, some shopping malls in India are facing tough times as customer footfalls and sales are going down with each passing day. In addition to this, weak sales and ever-increasing costs are also compelling retailers to exit shopping malls. This lurking fear has been compelling a number of big shopping malls, housing countless retail brands, to spare no effort for retaining retailers for the sole purpose of keeping the mall business alive. Important factors such as brand positioning of a mall along with its layout and design, and ability to cater to the needs of their customers, play a crucial role in determining the success rate of a shopping mall. Moreover, shopping malls that are successfully performing in the country have been embracing advanced technologies to beguile shoppers and multiply sales. Successful malls also appoint efficient teams specialized in tenant management who also make decisions pertaining to product placement, promotional activities, customer engagement programs and the design and layout of the malls. What’s more, they also have the autonomy to decide which brand needs to be picked for leasing spaces in the mall. Despite the fact that several shopping malls are not performing satisfactorily in the country, some of the malls are putting their best foot forward to continue through the difficult times. In order to revive the dying malls, mall developers are paying attention to the smallest details and taking corrective measures to redesign their business strategy. It is imperative for mall developers to simultaneously focus on effective mall operations and marketing needs of retailers so as to convert an underperforming mall into a smart shopping mall. Keeping this factor in mind, many shopping malls in India are re-launching themselves as per the latest trends to grab the attention of customers. Besides this, mall developers are adhering to the factors mentioned below to turn dying and deserted malls into a vivacious commercial property. · Investing in advanced technology: Technology plays a key role in enhancing customer experiences. Installation of Touch-screen mirrors and interactive kiosks can go a long way in increasing footfalls by attracting customers. · Utilizing data analytics: Mall developers should make use of data analytics as it is imperative for boosting customer loyalty. Data analytics help shopping malls to understand the buying habits of each individual, their purchase history, as well as their shopping behaviours. Such analytics offer valuable insights to mall developers for providing the shoppers and random mall visitors with better shopping experience each time they enter the mall. · Focussing on design and layout: Mall developers should emphasize on the design and layout of an underperforming mall to enhance its visual appeal and make it more stunning. The right design and layout can easily spruce up a dull shopping mall, besides adding the “wow” factor to it for enticing more customers. · Facilitating easy access and providing adequate parking area: Shopping mall should be easily accessible from the road so as to pull more visitors. Moreover, malls should have a decent parking lot with adequate illumination and signage to add to the convenience of visitors. · Expanding common spaces for entertainment: Since shopping malls are turning into entertainment destinations for people of all ages, owners of underperforming malls should expand the common spaces for dining and entertaining activities. · Creating a diversified tenant mix: A shopping mall cannot flourish in the absence of a well-planned tenant mix. Thus, developers of underperforming malls should carefully select the right tenant mix by positioning different brands at the right places. However, creating the right tenant mix calls for a lot of market research so as to understand the needs of the customers. · Zoning: It is the process of allocating each floor in a mall to specific retail categories. Mall space is generally categorized into different zones for positioning different retailers—ground floor is allotted to international retailers, first floor to women and children; and the remaining floors are allocated to consumer durables and home furnishing segment. In order to add to the profitability of mall developers as well as retailers, zoning should be planned after taking the requirements and shopping behaviour of the target audiences into consideration. In order to operate a mall productively, it is extremely important to analyze consumer behaviour. Failure to understand consumer behaviour and reluctance to adapt to the demands of Millennials can prove disastrous for underperforming malls. Thus, struggling malls should focus on critical success factors to bounce back from all sorts of adversity. By introducing novelty and adding new attractions, underperforming shopping malls can certainly make a comeback in the retail space, thereby regaining their lost lustre.